The Ridgefield Prevention Council invites the community to attend a Family University Series Programming with Educator and Group Discussion Facilitator, Brenda Chapman, MS, ED, on Wednesday, May 2, at The Ridgefield Library, Dayton Room from 7:00pm – 9:00pm. Ms. Chapman will inspire action and commitment through her well guided group discussion of the book, How Much is Enough?-Everything you need to know to steer clear of overindulgence and raise likeable, responsible and respectful children-from toddlers to teens-by Jean Illsley Clarke. The book is available on www.Amazon.com and www.Overindulgence.info. Brenda Chapman is the owner of “Up For Discussion,” a literature based group discussion business that serves multiple generations. Groups include parent/child book clubs, parenting book groups and Great Books Classic Literature Discussions for adults. 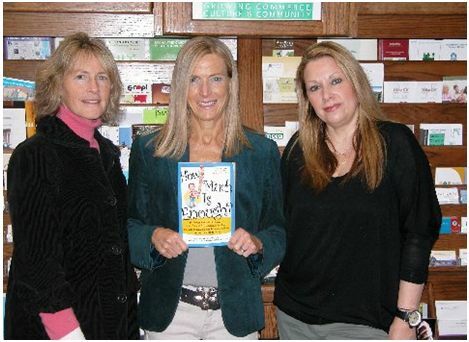 The event is Co-Sponsored by the Ridgefield Public Library. Suggested Family Donation is $10. Light refreshments will be provided. The community may register at www.ridgefieldpreventioncouncil.org.